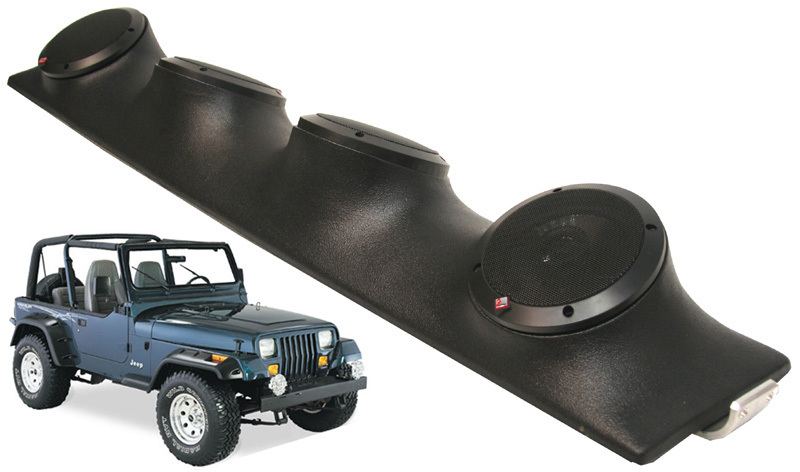 We offer a complete one stop speaker system for your Jeep Wrangler YJ TJ or JK! The stereo system includes (2) pairs of Rockford R152 speakers and the UTVA-R enclosure. Just add a head unit or connect an amplifier and your ready to tackle any trail with some serious tunes.